Predoctoral training, 1988-1989: Dep of Pediatrics, University of Torino. Research project: Molecular basis of phenylketonuria in Italy. Definition of the molecular bases and follow-up strategies of malformation syndromes. Most recently he has been collaborating in the definition of the molecular physiopathology and clinical assessment of Noonan and Beckwith-Wiedemann syndromes.Moreover he has been working on the definition of genotype/phenotype correlations in a cohort of patients presenting with multysistemic developmental anomalies and genomic lesions identified with the CGH array technology. 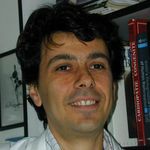 Author of 60 original papers, he is a member of the European and Italian Societies of Human Genetics and the Italian Society of Pediatrics.